You’ve done it! 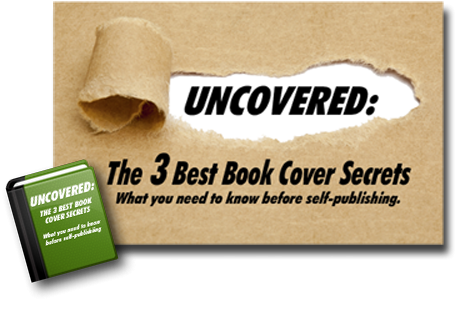 You’ve self-published a novel or nonfiction book that readers are actually buying and enjoying. 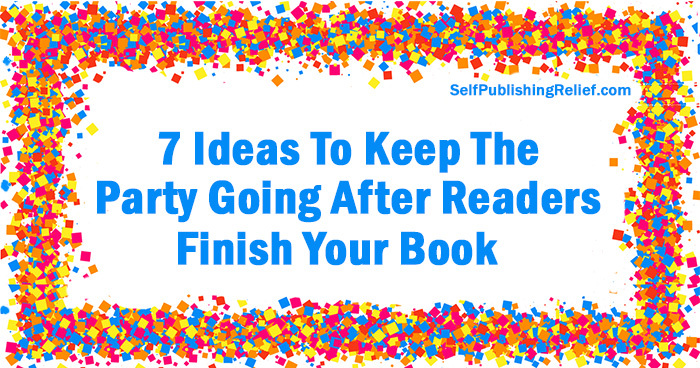 But once your readers finish your book—now what? At Self-Publishing Relief, we recommend self-published authors use the final pages of the book, called the back matter, to direct readers toward certain actions in order to forge a connection for future book marketing and promotional efforts. The most powerful book marketing space you own is the page that follows the very last chapter of your book. If readers have reached this page, they have committed hours of their time to your words. So this is the best time to reach out and make a personal connection. Note that a Dear Reader letter doesn’t have to be long, overly confessional, or a hard sell. You can add a tidbit about the book they just read, tell them about your manuscript-in-progress, express hope that your advice helped them, or that they found enjoyment in your story. All these ideas add a personal touch. In essence, this letter is for thanking your readers for their attention and gently directing them wherever you’d most like them to go. One goal of the Dear Reader letter is to bring fans within your reach so that you can direct book marketing to a captive audience later. If a blog is your online book promotion space of choice, use the letter at the end of your book to build your blog following. Include a hyperlink that will direct them to your blog website and make it even easier to connect with one click in your e-book. Everyone checks book reviews when considering buying a book by an unknown author. A healthy number of great reviews is an important marker of social proof, especially for a new, self-published writer. What better person to post a review than someone who has already made it all the way to “The End”? If boosting your review count or rating is your goal, include a gentle request in the back matter. Just make sure to offer a hyperlink directly to your e-book vendor page, or a universal link to all vendors such as Draft2Digital. Is your latest release perfect for book clubs? Are you hoping to connect with readers in person? Are you comfortable chatting with strangers by phone or Skype? Then consider including in the back matter a list of book club discussion questions. Direct readers to these questions and offer to virtually visit their book clubs. Just make sure to include a link on your website where you can explain what you’re offering and to gather the relevant information. Build your social media following by encouraging fans to join you on the platform of your choice in your Dear Reader letter. You can help them feel part of an exclusive crowd by setting up a group page on Facebook just for fans. You can even offer incentives for them to join, such as a monthly contest or promises of sneak-peeks, extra content, and first-notice of sales and discounts. It’s alarming but true that your following on social media really belongs to the platform—not you. Unpredictable changes to algorithms can affect your ability to connect with readers. That’s why the best tool for book marketing is an organically grown mailing list. Savvy self-published authors often use the back matter of their books to encourage readers to subscribe to their mailing lists. As their lists grow, so does the power of their email book marketing efforts. Consider using the space after “The End” to offer a free short story, novella, character sketch, FBI profile of a villain, or backlist book as a bonus for sign-up. Check out BookFunnel as your “bonus” delivery service. Help sell more copies of all your books by promoting other titles in the back matter of your current book. Use the Dear Reader letter to point fans to a specific book—perhaps the next in a series, or another one that’s in the same genre as the one they just read. Include a teaser chapter of that book to get readers hooked. Example: Are you wondering what happened to young Joe? Check out this teaser chapter of JOE’S BOOK. Remember to always include a list of your backlist books highlighted with hyperlinks for a one-click experience. Your author website is the hub of all your book promotion and marketing efforts. So whether you choose to encourage readers to write a review, subscribe to your blog, join your mailing list, or buy your next book, always remember to mirror these efforts on your website so that readers have a well-branded, universal experience. Question: Which goal is featured in the back matter of your latest release? Share it with us!